I received my BFA from the University of Wisconsin, Whitewater. I also attended The Royal Melbourne Institute of Technology and Chisholm Institute of Technology in Melbourne Australia. I received my MA and MFA are from the University of Iowa, Iowa City. I have been an instructor and a resident artist at the Archie Bray Foundation and The Appalachian Center for Crafts. 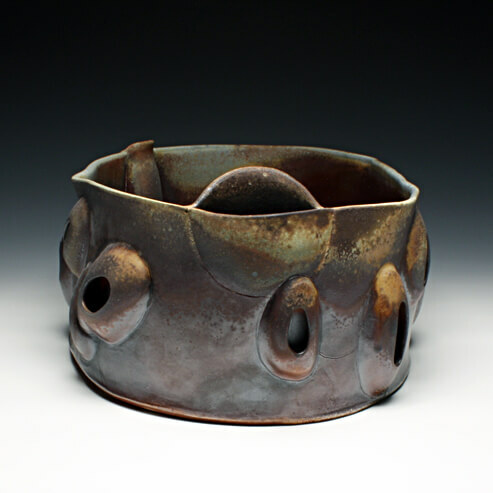 I have been a professor in ceramics at; Belmont University, University of Missouri, Virginia Commonwealth University, North Central Michigan College and The University of North Carolina. I am presently an Associate Professor at Central Washington University. My partner, Kathy and I have been working together for 19 years. Some of the work we do is collaborative; we also work on our own individual projects and pieces.